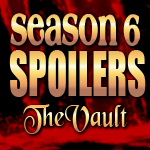 I can’t believe that we are already getting a title for Episode 7 of True Blood Season 6. This season’s episode seven is to be called, “The Funeral.” It’s hard to believe that the new season will be here in little over two months. There will be a flashback to 1665 and the Plague, and the role of King Charles II is being cast (ooohh, can’t wait to see who gets this part). In the present day, there will be a scene set in a Tru Blood factory. Also, we’ll meet Nicole’s mother, Mary, who will recur in 2 episodes. 1665? Eric and Godric meet Norah, perhaps? I’m most interested in the story surrounding the 1665 flashback, the plague and King Charles II.